We've seen birthday cakes shaped like all sorts of science fiction icons, including star destroyers. But it takes a special kind of geek to want a birthday cake fashioned after the "Split-Face" from John Carpenter's The Thing. 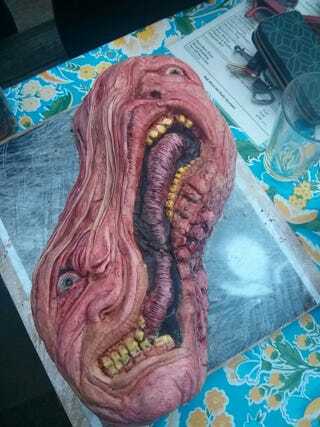 San Francisco artist Vicky Knoop created this cake for her boyfriend's birthday, and it's almost too creepy to eat. Almost.